Here, the Orchestre de la Suisse Romande and Pascal Rophé, with whom the æon label has collaborated since 2003, give us a very fine William Blank monograph, the fruit of the orchestra’s sustained work with this essential representative of Swiss creation, alongside his elder Heinz Holliger and his contemporary Michael Jarrell. 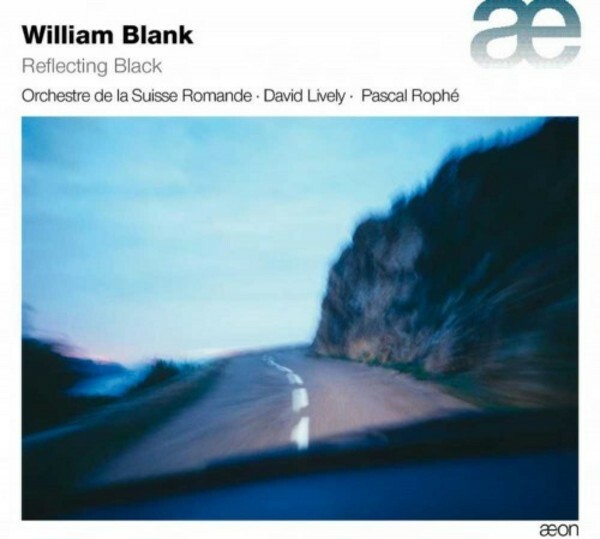 Born in 1957 in Montreux, William Blank, composer and conductor, is performed the world over. With him, there are no (or few) evanescent layers, aleatoric or improvised passages. Rather, there is a sort of pointillism with a human face, a maniacal love of small detail behind which emotion is flushed out by harsh, searing intensity or dense outpourings. The works on this programme are representative of the recent evolution in his work, especially the piano concerto, Reflecting Black, written in homage to the painter Pierre Soulages and magnificently served in this recording by pianist David Lively.